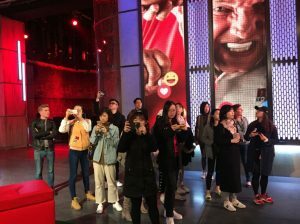 Last month, our students on the Collaborative Project module had the opportunity to gain an insight in the world of sports broadcasting with our Here East neighbours, BT Sport. One of our Student Ambassadors, Victor, shares his experience of the day. During my first few weeks at the London campus, I have been participating in the interdisciplinary module, the Collaborative Project. Compulsory to most courses, we have been divided into groups to help real companies solve real and exciting entrepreneurial challenges. After completing my career profile, I was assigned to BT Sport. 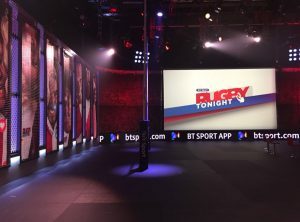 With my keen interest in TV production and being a fan of the Champions League, BT Sport was a perfect organisation to be partnered with. 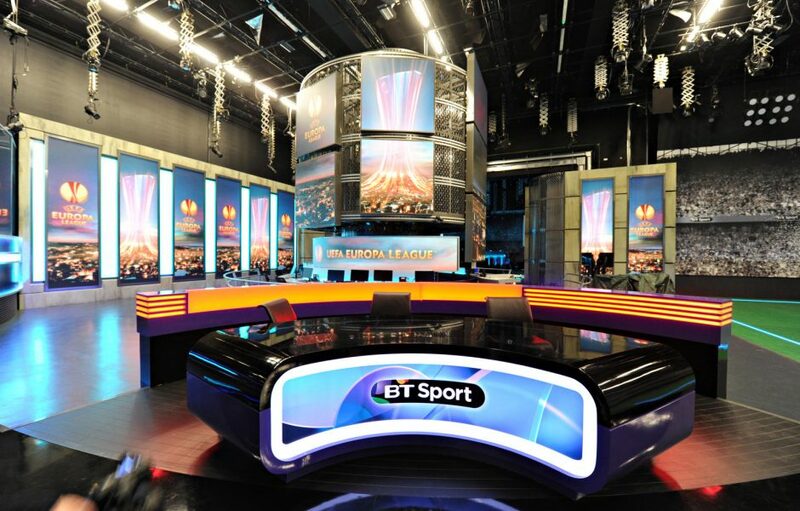 To begin the visit, we met Jamie Hindhaugh, the Chief Operating Officer at BT Sport Studios. 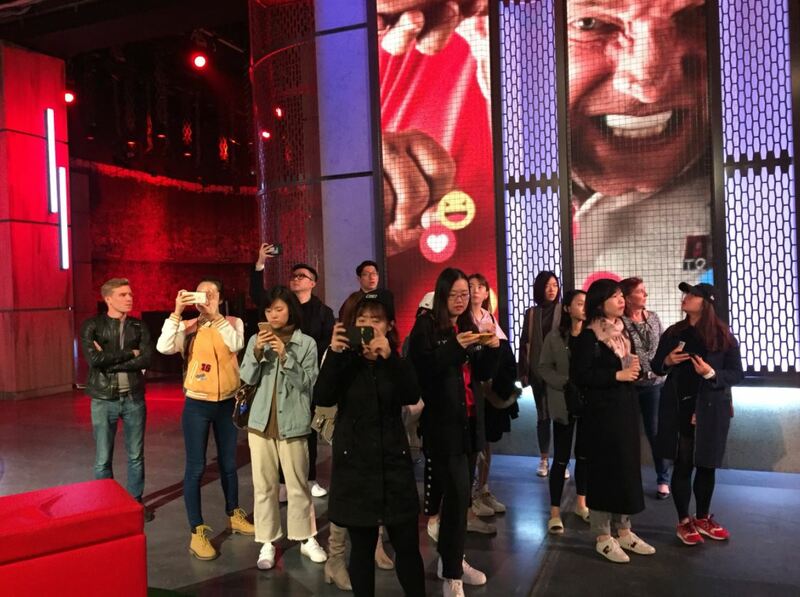 As we made our way through the building, students took selfies and exchanged ideas for questions to put forward to Jamie, the man behind the production hub at this huge firm. We all wanted to get first-hand, insider information! Our meeting room was designed to resemble a tiny football field, which was fitting since the match between the students and Jamie was about to start! Jamie was so welcoming with every single one of us; every time we asked a question, we received a practical answer, and, most importantly, feedback! For students, it is important to be given guidelines, tips and suggestions to assist with planning our futures. So, at the visit, we certainly took advantage of the opportunity! 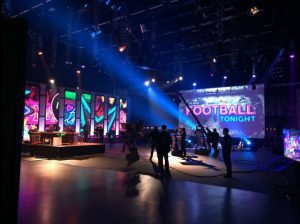 After speaking with Jamie Hindhaugh, and to digest the huge amount of knowledge we’d already received that afternoon, we had a tour through all the studios. We caught people saying “3, 2, 1, on air!”, fixing lights, talking about little details before launching a new programme; it was insightful! The best bit? We met new people, professionals who might one day become part of our network; and explored new connections that let us live a whole new experience. Loughborough University London would like to thank Victor for sharing his experience of the site visit and to BT Sport for giving our students a tour of their inspiring facilities. You can find out more about the Collaborative Project module and the companies we work with on our website.